Christine Casey, Ph.D. is Director of Partner Engagement. 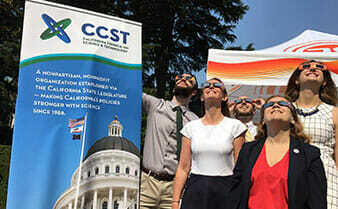 She was previously a Senior Program Associate for CCST, where her main focus at CCST is the Laboratory Affiliates Program, sustainability efforts, and outreach. Christine most recently worked for the Department of Finance for the State of California as a Finance Budget Analyst. In this position, she developed and administered budgets for, and analyzed policy related to, departments in the California Environmental Protection Agency. She testified before Budget Committees as a representative of the administration and also served as the lead fiscal and policy analyst for the state’s Cap and Trade Program. Christine was a 2015 CCST Science and Technology Policy Fellow with a placement in the Senate Committee for Transportation and Housing. During her time with the committee, she drafted and analyzed legislation involving all aspects of transportation and housing policy, organized key informational hearings on regional transportation funding needs, and successfully staffed important district legislation for the committee chair, Senator Jim Beall. Prior to the Fellowship, Christine earned a Bachelor’s and Master’s degree in Biological Sciences from the State University of New York, College at Brockport. She completed her Doctorate in Biology at the University of Rochester where she studied stem cell function during stress and aging. 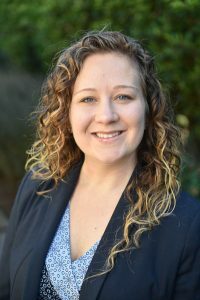 Christine’s postdoctoral training was funded by an NIH Ruth L. Kirschstein Institutional National Research Service Award at the University of California San Diego. This project focused on blood cell development and modeling blood disorders, such as leukemias, in zebrafish. During her graduate work and postdoctoral training, Christine was involved in educational outreach by volunteering at local science centers and also teaching at area colleges. For fun, Christine likes to play soccer, softball, and spend time with her husband and daughter.